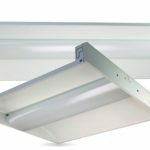 RLE Industries carries Troffer & Center Basked Lighting fixtures that carefully balance efficiency with aesthetics. 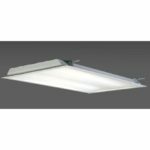 Troffer & Center Basket Lighting fixtures accommodating both standard fluorescent lamps and LED boards. 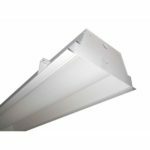 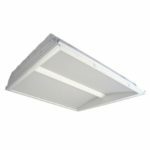 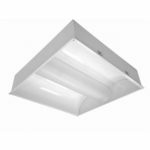 Elevate any office, commercial, retail, or classroom space with high-quality manufactured Troffer & Center Basked Lighting fixtures. 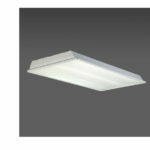 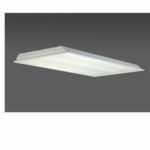 Provides direct-indirect, soft, uniform illumination. 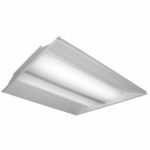 Curved, perforated details combine recessed fixture advantages with efficient indirect shielding. 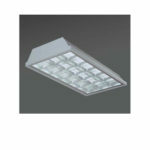 Available in 1×4, 2×2, and 2×4 in T8, T5 and T5-HO versions.